Media coverage on the role of red and processed meat in a healthy diet is a constant back and forth between claims it will cause cancer to claims it can improve health. We sat down with two of our nutrition experts, Aisling Aherne, PhD, RNutr and Aoife Murphy, PhD, to see what their guidance would be for fitting meats like sausage into a healthy diet. In 2015, WHO released a report claiming that processed meat was a Group 1 carcinogen to humans. Considering sausages are a processed meat what would you say to consumers wary of the findings from this report? Media reports suggesting that meat is now considered a major carcinogen, alongside smoking and alcohol, are highly misleading as the effect is dose-related and relatively small. For a deeper dive on the details from the report, check out the KHNI blog Red Meat Can Still Be ‘What’s For Dinner’. 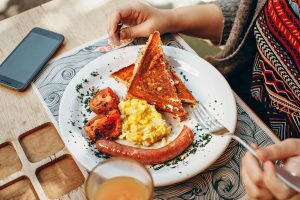 Cancer Research UK commented that a bacon sandwich or sausage bap a few times a week probably isn’t much to worry about in terms of cancer risk. On the other hand, for weight management and heart health it is important to limit intake of high fat containing foods. The overall risks of cancer due to processed meat consumption are much lower than other substances in Group 1 such as smoking. How would you improve the standard sausage offering to improve the perception of the category? Reducing the salt & fat content as well as artificial preservatives would be a good option. Also “sausage hybrids” where meat protein is replaced with plant proteins could improve nutrition. Can sausages be viewed as a nutritionally optimised option? Sausages are typically high in fat and salt and therefore should be eaten in moderation as part of a healthy diet. Vegetarian and Flexitarian offerings made with vegetables could be higher in fibre, and offer a good way to increase your vegetable intake! How can the sausage market continue to grow? We think there is an opportunity through cleaner labelling and “better for you” nutritional optimisation. Sausages can have a nostalgic and traditional role in peoples’ diets. However they should be viewed as a treat. Using good quality meat, less salt and fat, and cleaner ingredients can help us turn these products into a permissible indulgence. Where will the sausage market be in 10 years time? Flexitarian options will be more popular, and as people are more well-travelled, new flavours from all over the world will pop up! From a nutritional aspect which is the healthiest cooking method and why? 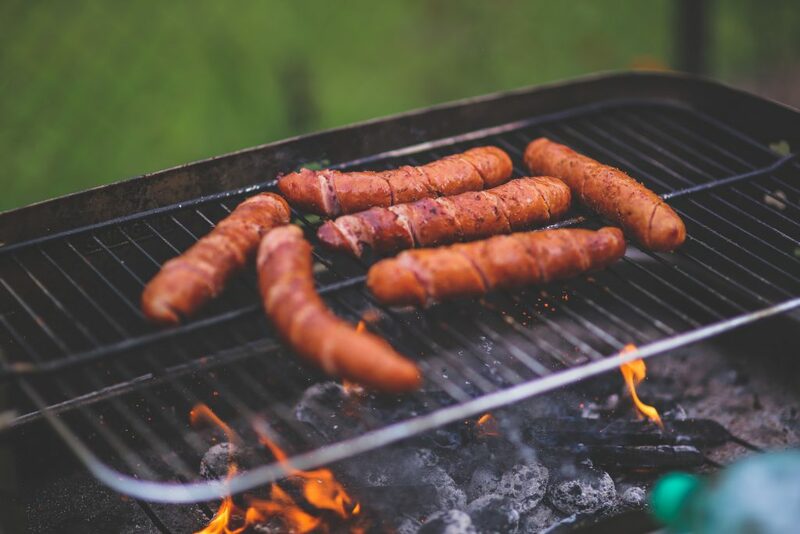 Cooking processed meat can result in the formation of carcinogenic compounds, however cooking at low temperatures and turning frequently minimises production of these compounds. Aisling Aherne, PhD, RNutr graduated with BSc and PhD degrees in Nutrition from University College Cork (UCC). Following her time at UCC, Aisling spent two years working as the Healthcare Professionals’ Communications Manager with The Sugar Bureau trade association in London. In 2005, Aisling returned to a senior nutrition research position at UCC where she supervised a research team who assessed the biological activity of various naturally-sourced compounds, extracts, and foods. Since 2010, Aisling has held a number of commercial and nutrition manager roles in industry and is currently a Nutrition Manager with Kerry. Aoife Murphy, PhD graduated with a BSc in Human Nutrition and a PhD in Nutrigenomics from University College Dublin. Her research interests include the dietary modulation of metabolic health, epidemiology and gene-nutrient interactions. She recently joined Kerry as a Nutrition Analyst.